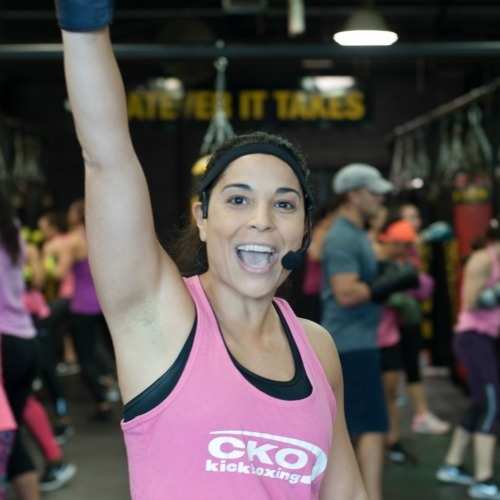 Fitness Background: I began with CKO in April of 2011 and instructed classes regularly at CKO Old Bridge, CKO Great Kills, and CKO Tottenville before opening CKO Edison, CKO Woodbridge, and CKO Clark. I’ve been involved with martial arts and physical fitness for the past 15 years and am a Certified Personal Trainer with the National Academy of Sports Medicine. Why I CKO: The atmosphere, group motivation, personal reward, and most importantly the great people are all what keeps me coming back. I walk into CKO stressed and leave feeling amazing and always with a smile on my face. Fun Fact(s): Most people don’t suspect that I love anything sci-fi, anime, comic books, outer space, or typically classified as “nerdy”. Fitness Background: I have been at CKO for 8 years, teaching for 7. Played collegiate soccer for 2 years and still play competitive mens soccer, basketball, and coed flag football leagues. 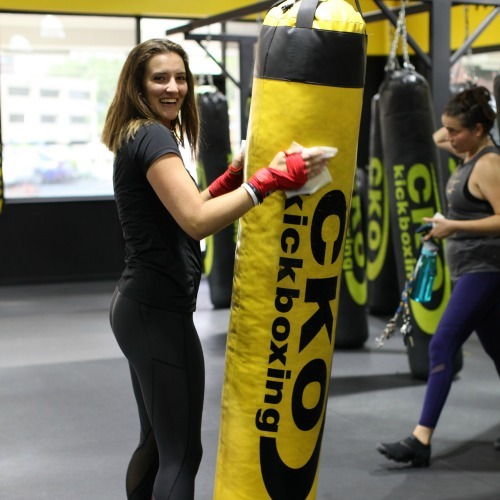 Why I CKO: I CKO because I have an opportunity to keep feeling like an athlete, while developing my Boxing and martial arts skills at a fun, friendly and motivating atmosphere. Fun Fact(s): I love to cook. I have catered and still do for big parties when I hv time. Fitness Background: I have been with CKO as a member, instructor, then owner since 2010. I am a CPT, CES, PES, and FNS with the National Academy of Sports Medicine (NASM). I also have a Level I certification from Precision Nutrition. Why I CKO: I CKO because there is nothing like that feeling after finishing a class, and I love seeing members have a chance to change their lives for the better. Fun Fact(s): Majored in History at Monmouth University, read a lot of Civil War & WWII history. I have performed 6 weddings as an officiant. Fitness background: Journey begin at Edison in 2014 when I joined as a member. Shortly after I started working the desk and instructing classes. I graduated from Rutgers University with a B.S in Kinesiology and Health. Why I CKO: The energy and environment are addicting. I enjoy pushing people past their limits. Fitness Background: I’ve been at CKO for 1 year! I attend Kean University as a Mathematically Sciences major. I was also a cheerleader for 10 years! WHY I CKO: I love working at CKO because I get to motivate others, change people’s lives, and see the drive in each person walking through the gym. Fun Fact: I could work out for hours, but I can never resist a treat of ice cream! 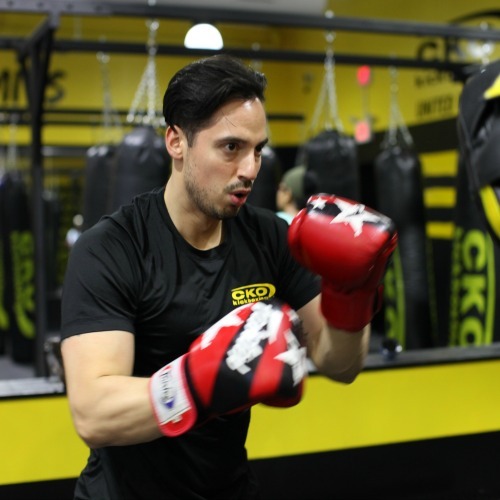 Fitness Background: I first became a member of CKO Edison in November 2015 when my wife persuaded me to take a class because I was looking for a new and challenging workout. I was hooked immediately! 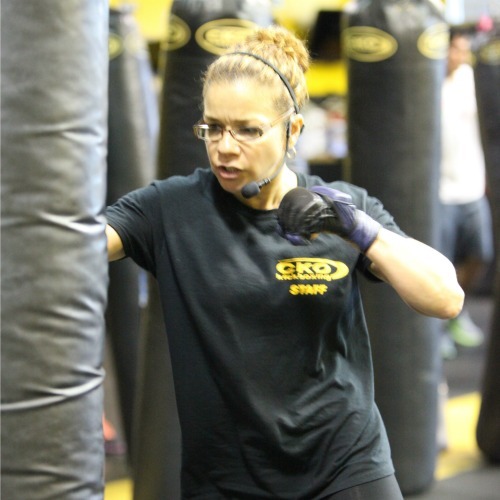 Prior to joining CKO, I competitively played basketball and trained in martial arts for over 10 years. Why I CKO: After being a member of CKO for 2 years and knowing how much of a positive impact it had on me, not only physically, but also mentally and emotionally, I began to have an increasingly growing itch to become an instructor. I like to consider myself someone’s fitness therapist – I want the members to feel that they can come to my class and not only get a great workout, but be able to take 1 hour of their day to disconnect from the world and life’s everyday problems and frustrations. Fun Facts: I have to admit…I’m a sneakerholic. I also love to travel and experience different cultures. Fitness Background: Started with CKO Edison in June 2013, became an instructor in February 2014. Played collegiate rugby at James Madison University. I still play in recreational basketball and flag football leagues. Why I CKO: Because physical violence is frowned upon. But honestly there’s nothing quite like a room full of people all busting their you-know-what’s for some extra motivation. Fun Fact(s): I am an attorney with the firm Rebenack, Aronow, Mascolo in New Brunswick and Somerville, NJ specializing in Plaintiff’s personal injury litigation. Oh that wasn’t fun? I also got lost in Disney World when I was six…that wasn’t fun for me, though. Fitness Background: I have done CKO since 2012. I started as a member and havent turned back. I used to play softball, and do track and field. Why I CKO: CKO is my happy place. Every workout is different from the last. Each instructor has their own style from music, to warm-ups, to how they count down an attack round. Each workout is intense and fun, and you definitely get the most out of the hour you spend here. The workout is as challenging as you want it to be, and its so great to feed off the energy of the people around you. I have been to plenty of other gyms and will forever come to CKO as no other place can compare! Fun Fact(s): I have 2 kids, 2 dogs and a husband. I speak fluent Italian, and have been to Italy 7 times. When I was younger my claim to fame was being an extra in the movie K-Pax. Fitness Background: I have been boxing at CKO for just under 5 years. Why I CKO: The other members are the reason I wanted to be an instructor. Seeing their drive to better themselves, it made me want to be someone who helps them achieve their personal goals. Fun fact: I’m a happily married mom of 2. I have a passion for fitness. Boxing and lifting keep my sanity. Leg day is my personal favorite. It’s my me time. 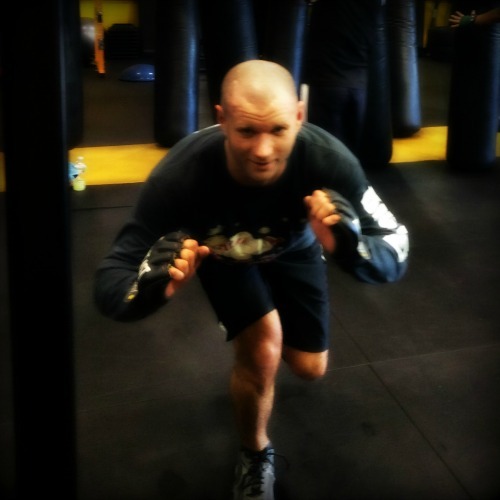 Trevor is a highly intense & motivated trainer. 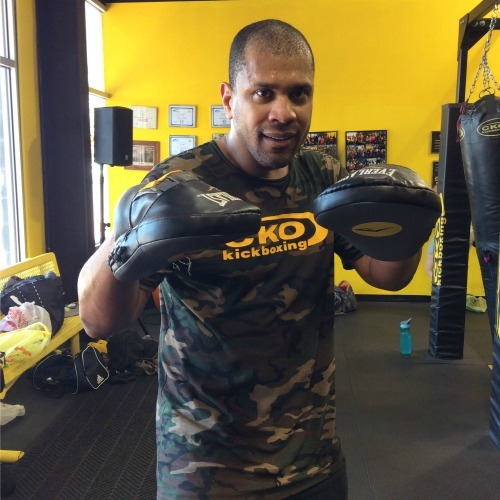 A member since 2013, he uses his background in Muay Thai kickboxing to work on fundamentals while maintaining the intense pace & high energy that CKO provides. He also draws from his experiences playing football at Notre Dame to motivate members. That level of competition and training pushed him beyond the playing field to reach new heights, finishing two marathons, two triathlons along with many other races. Why I CKO: CKO training offers a unique mental and physical challenge that pushes your body to limits you may not think you can get to. Coming into to class as a member feeling the energy given by the instructors was more than enough to pull me in and work to give that same enthusiasm back to all members. 1 Word to describe your instructing style: To describe one of my classes using one word, I would have to say energetic. When the workout is getting tough, & you feel that collective feeling, it’s enough to make you push that extra bit to finish strong. Fun Fact(s): Fun fact that sheds a light on a little of my approach instructing is that I coached youth basketball & football for close to 10 years. One of the pop warner teams I coached came close to making it to the national championships down in FL. If you’re looking to take that step and push yourself to new limits, I welcome you to join… See you soon. Fitness Background: Born into a family of sports and fitness fanatics, Ive tried every trend under the sun. The only one that still stands is CKO. Started a Groupon trial in 2014, became a member thereafter, and by 2015, began instructing at CKO Roselle, CKO Edison and CKO Woodbridge. Why I CKO: Spending each day surrounded by inspirational people, motivational instructors and the opportunity to unleash a brutal beat down (without getting arrested) made me feel indestructible, and it still does to this day. 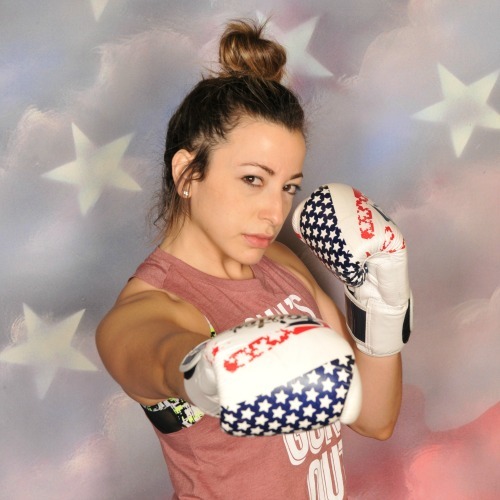 Fitness Background: I have been a member of CKO Kickboxing Edison since February 2016 and decided to become an instructor in August of 2017. I’m currently in school for nutrition. Why I CKO: I started cko to lose weight and as a confidence boost and it has absolutely exceeded my expectations. The atmosphere is incredible, and I couldn’t ask for better people to work with. 1 Word to describe your instructing style: Determined. I’m determined to always preform a high energy class, determined to make sure everyone is having a great workout, and determined to make sure everyone is having fun. Fun Fact(s): When I’m not in the gym I am a nanny for 5 amazing kids. 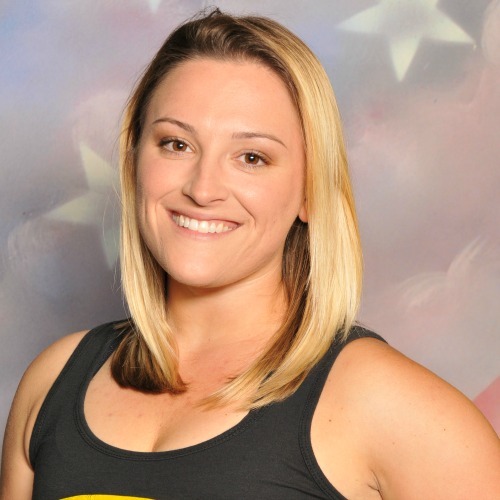 Fitness Background: If I am not at CKO I enjoy playing recreational flag football, hiking, weight training and spending time with friends and family. Why I CKO: The reason I CKO is because it brings me such joy and passion. I love seeing people set goals and reach them, and if I can help in getting them one step closer to that goal or to bettering themselves I want to assist in any way I can, even if it is just an encouraging word or smile. Fun Fact(s): I was in the United States military and worked at the federal reserve bank as a police officer for about two years. Fitness Background: I have been a CKO Instructor for 4 years now (wow…) I played basketball and football in high school. Competed in amateur muay thai kickboxing. Have a personal training cert from asma (think thats the company) also have a heartsaver cpr certification. Have worked and trained with many amateur and professional boxers, kickboxers, and mixed martial artists. Currently a Compliance Inspector for New Jersey State Athletic Control Board in amateur and professional kickboxing and mixed martial arts. Why I CKO: What I love about teaching at CKO most is the members who come to class. I continue to be motivated by the energy that our members bring into the gym. I am always happy to show proper technique and form and pass on the knowledge I have attained over the years to others who seek it. 1 Word to describe your instructing style: Technique. I say something about form and technique every class. Fun Fact(s): An interesting hobby is scuba diving. I have an advanced open water certificate with over 40 dives. And specialty certificates in night diving, shark diving, and fish identification. tioning, as well as fighting technique drills, to his classes. Fitness Background: I have been a part of CKO since 2014 but I have been involved with strength training since 2009. Why I CKO: I CKO because its therapeutic, stress relieving and never the same. It allows for everyone to challenge themselves,encourage and motivate others. Fun Fact(s): I enjoy watching documentaries, sports and trying new types of food for fun. I love learning about different cultures and languages and can currently introduce myself and state where I am from in 5 different languages. Fitness Background: I have always enjoyed working out and making it a part of my healthy lifestyle from a young age. Gymnastics and cheering helped to build my fitness foundation. My love for kick boxing started 15 years ago, participating in various mixed martial arts, kick boxing, and self defense classes. Why I CKO: I have been to various kick boxing gyms but when I took my first CKO class I knew this was going to be my home. Leaving here makes you feel accomplished, strong, and motivated to succeed at any of your goals. Aside from the incredible workout are the amazing people that always are such a great support system and inspiration! Not only the instructors but also the members are here to push and motivate you, making it FUN!! Fun Fact(s): I am a mother of two beautiful kids, a pharmaceutical representative in ophthalmics and I love to cook! Fitness Background: I started with CKO in January 2013, as a member. Then I started teaching in 2015 at CKO Edison and then CKO Woodbridge. Why I CKO: The people!! In general, the members, staff, and owners make CKO a special place in my life and Im sure in many others lives as well!! Its like an addiction; you want more and more no matter how sore you are! At the end of the day, I can say this was one of the best decisions I made in my life. Fun Fact(s): I served 3 years in the Air Force in my early 20s with 34 parachute jumps on record. Fitness Background: I started CKO the end of 2013 taking the classes and loved everything about it, atmosphere, group motivation. Involved with martial arts and defensive training for the past 35 yrs. Why I CKO: FUN: The workouts are challenging and exciting, personal reward for sure. I meet great people every time Im there and I love to watch the transformations. It my Happy Time! Fun Fact(s): I was a kindergarten teacher for several years, then a restaurant singer and now an EMT for JFK Hospital. I have 3 amazing adult children who are surpassing all of the above about me…I cant ask for anything better. Fitness Background: Started with CKO March 2012. 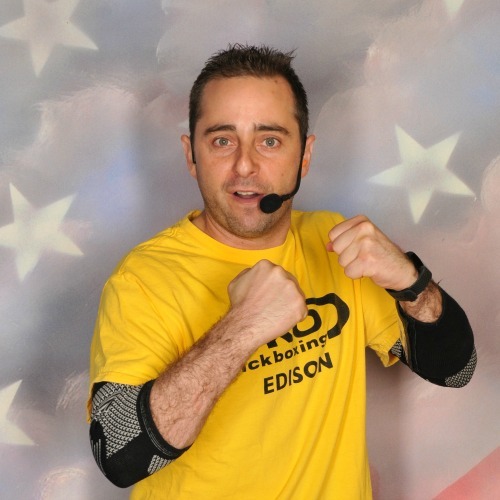 Began teaching at CKO Edison in June of 2013. Adore horses and been riding consistently for over 25 years. Why I CKO: The challenging workouts that push the limits, fun environment, friendly staff and members, motivational teaching style, group support and most importantly the way you feel when you walk in (inspiration) and out of those doors (accomplishment). I’ve been a dancer my whole life, and fitness has always played a big part in that. 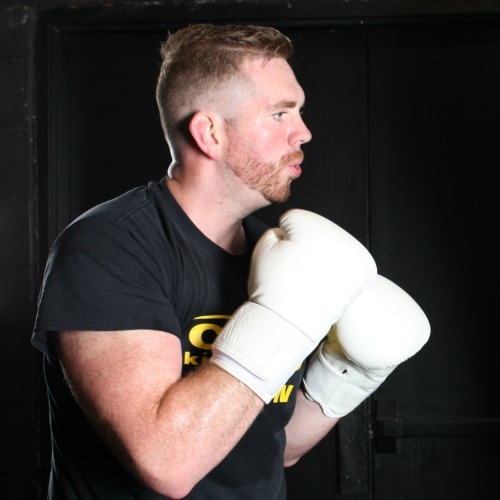 I began boxing at CKO 4 years ago, and became an instructor March, 2018. I’m also a certified barre instructor through Flywheel Sports. I know first-hand how amazing CKO is with helping me escape my anxiety/stress/frustrations after a long day of work. It’s my release. To be able to pass that same feeling of strength (both physically and mentally) onto others, and show them they’re capable of so much more than they think – nothing else like it. I’ve been dancing professionally from the young age of 3, performing with such artists as Chris Brown, Drake and Jeanie Ortega. I most recently danced professionally in the NBA for 4 years with the Brooklyn Nets (“Brooklynettes”). During the day, I work in Corporate Merchandising for Marc Jacobs. 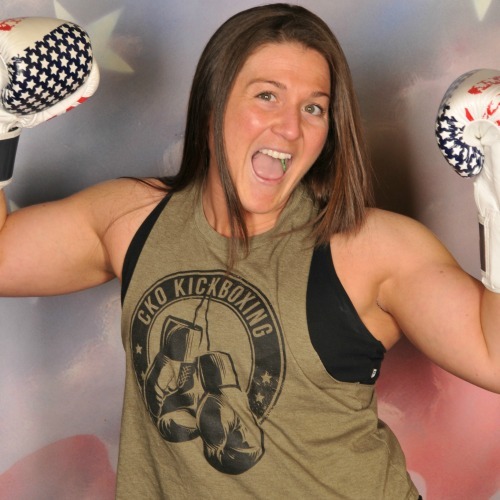 At CKO Kickboxing Edison, get ready to burn fat, reduce stress and tone up by punching and kicking real heavy bags. Fitness Kickboxing is the number one fat-burning, cardio exercise, where you can burn more calories in a one hour class than any other workout. Our fun and engaging group fitness classes keep the punches and kicks basic to focus on the fitness aspect of your workout. 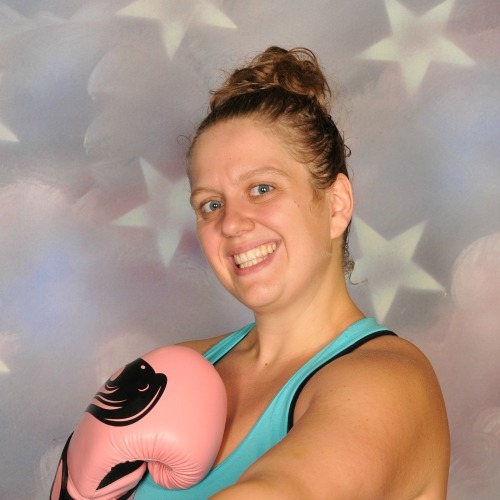 Since our kickboxing classes are for both beginner and advanced levels, each member can work out at their own pace. At CKO Kickboxing, REAL PEOPLE use REAL HEAVY BAGS to get REAL RESULTS. CKO Kickboxing was originally formed in Hoboken, NJ as “Take It To The Max” in November, 1997 by Joseph Andreula. Joseph designed and created the intense workout, which was the first of its kind. CKO became so popular in Hoboken, that by 2004, nine additional locations opened throughout NJ and NY. In the summer of 2005, CKO opened the doors to its second Hoboken location and today has 22 locations with 2 more opening shortly. CKO has a massive army of devoted followers and has been recognized in countless national fitness magazines and televison programs such as NBC’s The Today Show. 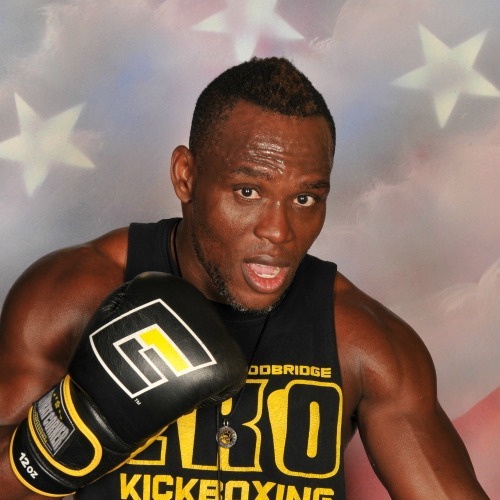 CKO Kickboxing Edison was opened in December 2012 by Charles Osinowo, Mike Napolitano, and Roy LaBue. 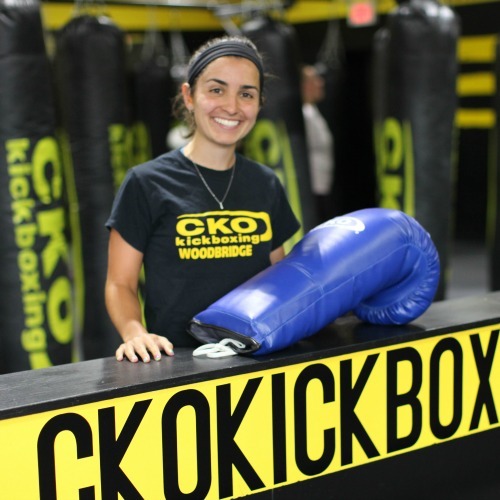 Charles, Mike, and Roy also own the Woodbridge and Clark locations of CKO Kickboxing. Become a part of the fitness revolution that is CKO KICKBOXING.